Can you imagine enjoying a nice sun this winter while you relax in the solarium of your new home? With our villas for sale in Moraira you can make your dreams come true and enjoy this winter of the Costa Blanca sun. Moraira is a small tourist town located on the Spanish North Costa Blanca. Its population does not exceed 1600 inhabitants and once was dedicated exclusively to fishing. But because it has an unparalleled coastline, currently its greatest activity lies in tourism. The coast of Moraira is a compendium of small and magical sea coves dotted by spectacular corners with beautiful beaches. We are sure that your greatest wish would be to enjoy listening to the murmur of the waves of the sea while you sunbathe on the golden and soft sands of the beaches of Moraira. The Spanish Costa Blanca has a magnificent climate where its winters are mild and sunny. 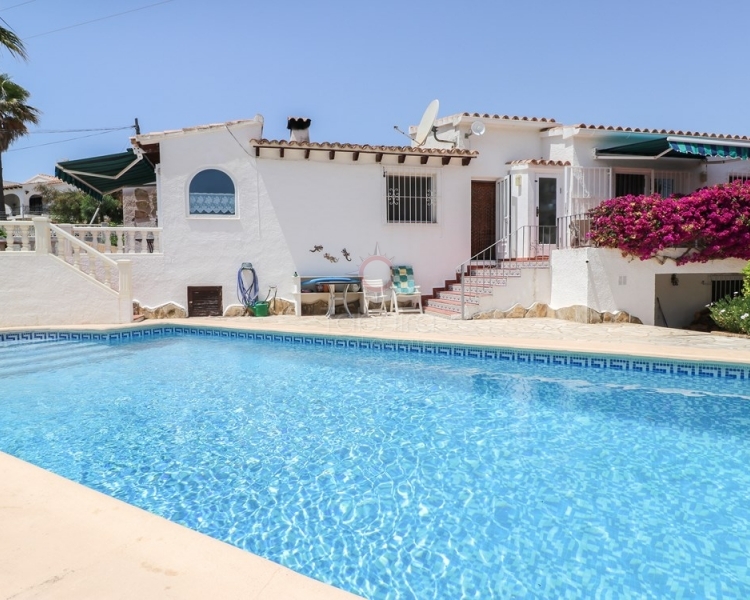 If you buy one of our villas for sale in Moraira you can forget about the cold and live relaxed this winter doing your favorite outdoor activities. In Moraira the annual rainfall rate is very low and the sun shines more than three hundred days a year. This kind climate allows you to practice those sports that you like so much, such as cycling or hiking, while you enjoy discovering the unique and wonderful corners of the environment. In the surroundings of Moraira you have very well signposted hiking trails that will facilitate the route, the difficulty and the time necessary to cross them. But the luminosity that characterizes the winter in Moraira and that provokes a happy and witty atmosphere, also allows you to observe, in addition to its beaches, other landscapes of interior, agricultural and traditional, of high landscape value. Would you like to live in one of our villas for sale in Moraira located on a cliff from where you can observe the immensity of the sea? Do you prefer to have a villa surrounded by vine crops, in an agricultural valley? Both aspects are possible in Moraira. That is the reason why there have been a proliferation of urbanizations in recent years where you can locate your home facing the sea or surrounded by a landscape of cultivation. You have wonderful beaches with all kinds of services, so that your bathroom is pleasant and relaxed. In them you can find rental of umbrellas or sunbeds, foot-washing and showers, security and lifeguard service, and a wide variety of beach bars where you can have a soft drink or ice cream. 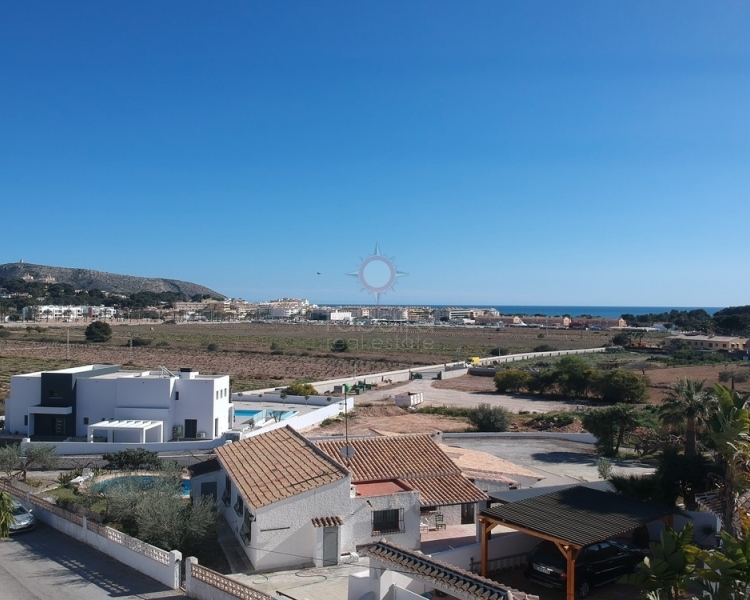 But you also have in Moraira an agricultural environment, where you can live surrounded by vegetation and with an incomparable fauna, such as the Bonelli's eagle, kestrels, goldfinches, bee-eaters, nightingale, greenfinch and hoopoes. We offer you the opportunity to choose different environments where you can live by purchasing one of our villas for sale in Moraira. But in all of them you can enjoy a wide range of services and cultural to live comfortably. In Moraira you have all kinds of shops, shopping centers, supermarkets, pharmacies, medical assistance center, etc. It also has a wide range of entertainment with numerous restaurants, music venues for all ages, live music outdoors and a beautiful promenade where you can enjoy the immensity of the sea while you entertain in the many shops of has. Do not forget to enjoy the delicious cuisine of the surroundings, with typical seafood dishes based on fresh fish that arrive daily at its fishing port. In Moraira you can enjoy a wide gastronomic offer that will delight your palate. It is also worth mentioning the importance of an exquisite sweet liqueur, "la Mistela", which has been made since Roman times in this place, with grapes from the "Moscatel" variety grown in its surroundings. If you are a water sports enthusiast, we recommend you buy one of our villas for sale in Moraira. So you can enjoy the many options that its varied coastline offers you. You have several nautical clubs in the area, such as the Moraira Yacht Club, or the Nautical Club of Arnellá next to l'Ampollá Beach, where you can hire a mooring for your yacht, rent a boat, or practice different sports disciplines such as diving, sailing, rowing, canoeing. Here you have the opportunity to take a kayak trip, have fun with a hydro-skate or discover beautiful underwater caves, in calm and transparent waters. Do not give up this winter to enjoy the wonderful sun of the Costa Blanca North while you relax on the deck of a beautiful sailboat. 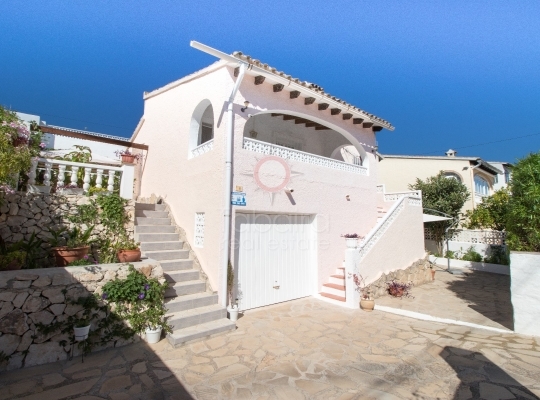 We offer you a wide range of villas for sale in Moraira. Access our website and you will see that from each villa we provide you with a gallery of photographs and a brief explanation with its most relevant characteristics. Do not hesitate to contact us if you want to expand the information on any of our homes. Follow us on social networks and you will see our great real estate activity. We are a company with a long professional experience that we put at your service so that the purchase of your new home in Spain is comfortable and effective. That is why we also speak the main European languages so that you do not have any communication problems with us. We are at your disposal to solve any doubt that may arise related to the purchase of one of our villas for sale in Moraira. We can advise you on the application of the NIE, currency exchange, purchase-sale agreement, life, health, housing or automobile insurance policy, direct debit of taxes and taxes, opening of a bank account, etc. To contact us you can send an email to info@tabairarealestate.com or fill in the contact form that appears on the web. 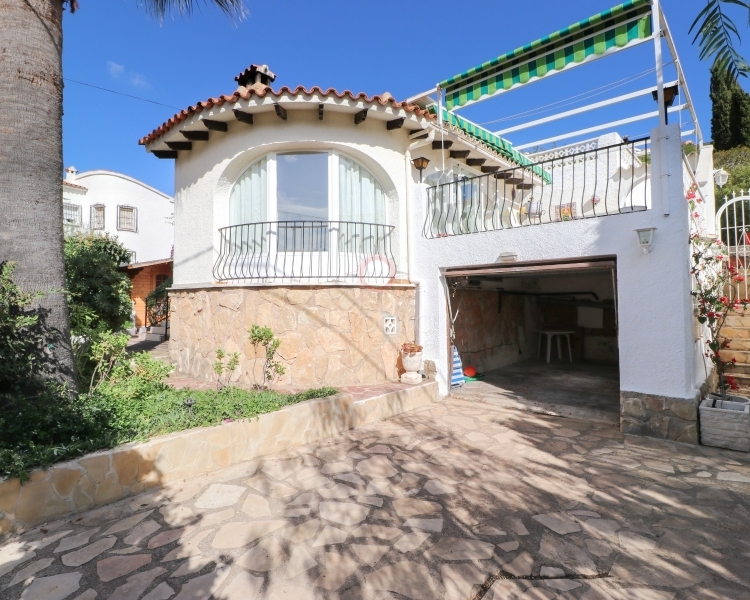 You can also call us at (+34) 96 574 41 79 or Skype at tabairarealestate1. 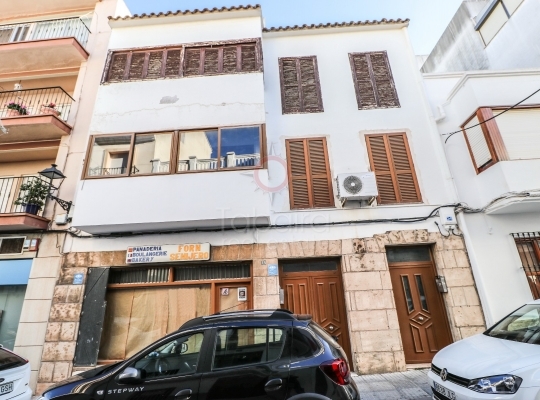 If you prefer to visit us personally, we would be delighted to welcome you to our offices located at Calle Iglesia, 4 - 03724 Moraira - Alicante - Spain.